V-Grade 5 is for engineers and researchers who employ evaporation-source physical vapor deposition (PVD) for thin-film manufacturing, and for those who design or configure PVD equipment. It is a virtual coaster that numerically simulates the process of the PVD in great detail and accuracy. Using V-Grade 5, the lengthy and costly process of trials and errors will be reduced to a minimum. And more importantly, it enables engineers to find innovative solutions for difficult jobs, to obtain the best quality for the deposited materials, and to maximize the production yield. 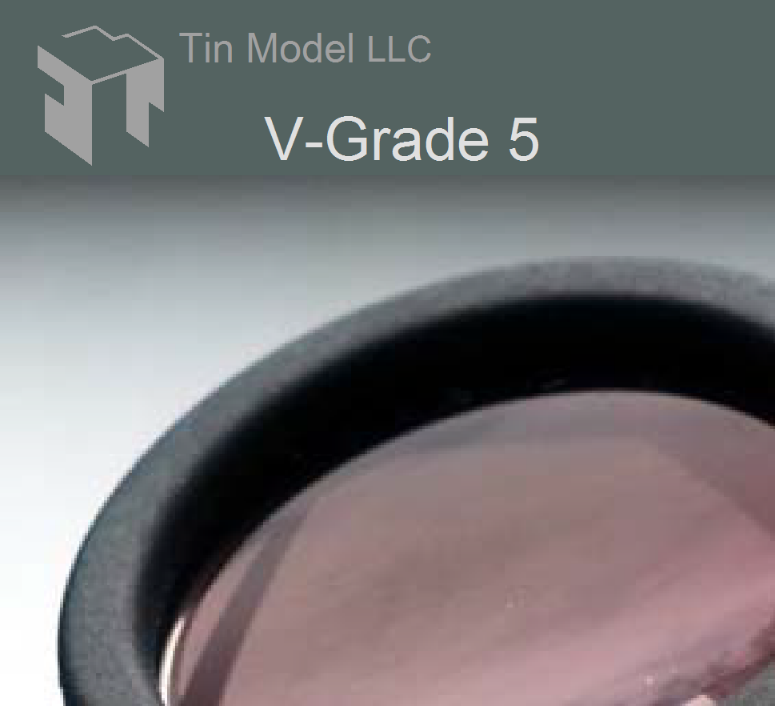 V-Grade 5 is an answer to the demand for precision and perfection in thin-film fabrication. It is applicable to thin films for various purposes, including optical coatings, protective coatings, metallization layers for lift-off process in semiconductor fabrication and others. V-Grade 5 is rich in features, and at the same time intuitive and easy to use. It will become a part of your work flow from day one. V-Grade 5 is a virtual PVD coater. First, you specify your coater, which can be a simple dome coater, a traditional planetary-rotation coater, an advanced planetary coater with tilt planets or dome planets, a lift-off coater having restricted vapor incident angles, or a novel coater with uncommon motion type. Next you specify the surface (workpiece) to be coated – it can be as simple as few surface points in a line, or as complex as any arbitrary and 3-dimensional surface; you may place a number of different surfaces anywhere in the fixture (workpiece holder). You can then add correction masks, of arbitrary shape, between the source and the fixtures. And in addition, you can define the vapor plume, i.e. how the material emanates from the source. After you’ve defined the system, the surfaces to be coated and the material, you are ready to coat your workpieces, virtually. V-Grade 5 completes a typical computation in 2 to 5 seconds to yield: 1) the thickness distribution over the surface(s) that you specified, 2) the absolute thickness, at each surface point, for each gram of material evaporated, 3) material collection (percentage material captured by the fixtures), and 4) statistics of vapor striking angle of each surface point. In association with the thickness distribution, the variance and the nonuniformity in thickness are also displayed. V-Grade 5 also features a sophisticated correction-mask optimization program. 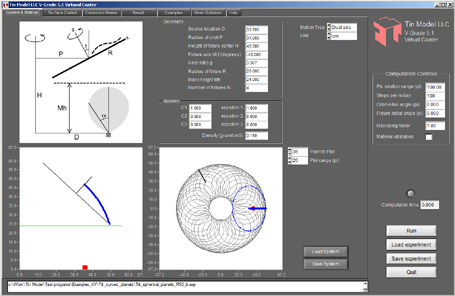 It automatically reshapes an input mask to minimize the thickness nonuniformity. You may choose the nonuniformity measure to minimize, such as the variance, the peak-to-valley difference or deviation from a target thickness. It enables you to find mask designs that yield satisfactory thickness uniformity at the lowest cost of material-collection efficiency. and systems through knowledge of thickness distributions of coatings.